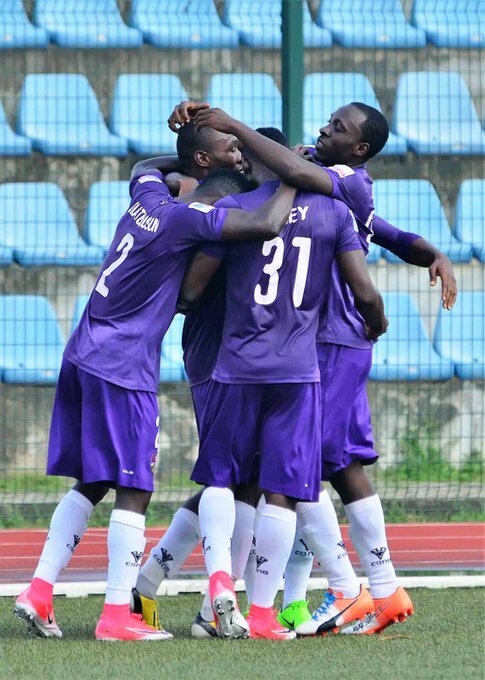 Nigerian International, Stephen Odey, became the first MFM player to score 16 goals in one season as he converted a penalty against Sunshine Stars in Wednesday’s match day 26 clash at the Agege Stadium to edge closer to the record books as top scorer. After a record 14 goals in the first round, Odey struggled through a drought and eventually got the monkey off his back with his 15th goal this season and first in the second round at former champions, Kano Pillars. Wednesday’s rescheduled match day 26 clash at home to Sunshine Stars produced his 16th goal of the season. Odey's resurgence is an indication of his readiness for business. The trio of Samuel Matthias (El-Kanemi Warriors), Sunday Adetunji (Abia Warriors) and Alhassan Ibrahim (Akwa United), all failed to hit target on match day 26 as Odey moved five goals ahead of the trio. Odey is already the first player to win the influential League Bloggers Awards twice this season.